Create all of your winter beauty looks with Covergirl’s newest collections. Great for gift giving this holiday season. Great for all your winter beauty needs, and has just the right products to create unique looks for every occasion. Mahaylah, and I had the opportunity to get to try some products from each of these Covergirl collections. Since Mahaylah is Latina, and I am white it was interesting trying all the products we received. She really loved the Queen collection the most. Read on to find out what we had to say of each collection, and why you will want to try them to. This was part of a product review, and COVERGIRL provided an assortment of products for our blog members to try. The opinions in this blog post are the authors. Covergirl’s Lip Perfection Lip Liner delivers great color pay off and preps lips for lipstick or lip gloss. This product is very moisturizing and helps to prevent lip color from bleeding out of the lip line. It is very long lasting and comes in a variety of shades from light to dark. I find most lip liners to be quite drying on the lips however with Covergirl’s lip perfection lip liner I don’t have a problem with it. It is perfect for those who have dry lips because it has 60% skin conditioners so it glides on smoothly. Covergirl’s Ready Set Gorgeous Collection is amazing, the powder foundation is a pressed powder compact that come with a cosmetic sponge and mirror. There are currently six different shade options to choose from at the moment and I’m not going to lie it looks like it comes with a little bit of product but do not let that fool you a little goes a long way and it last a long time which is great. This powder foundation has medium to full coverage and looks very natural looking on the skin. It evens out the skin tone really well without looking over done. They also have a liquid foundation that is awesome as well it is suitable for different skin types and has a satin/matte finish on the skin, it with stands heat and sweat, it also has medium to full coverage so you can’t go wrong with this product. I absolutely love it. Covergirl’s Queen Collection is specifically for women with darker skin tones. This collection has CC Creams, Liquid foundations, bronzers, lip products and so much more. The cc cream provides nice coverage while also taking care of your skin. The liquid foundations match about 72% of dark skin tones and has flawless coverage with a satin finish. It makes the skin look slightly glowy which is beautiful on dark skin tones. The bronzers and lip products are to die for I highly suggest you check out this collection if you haven’t. It’s awesome! 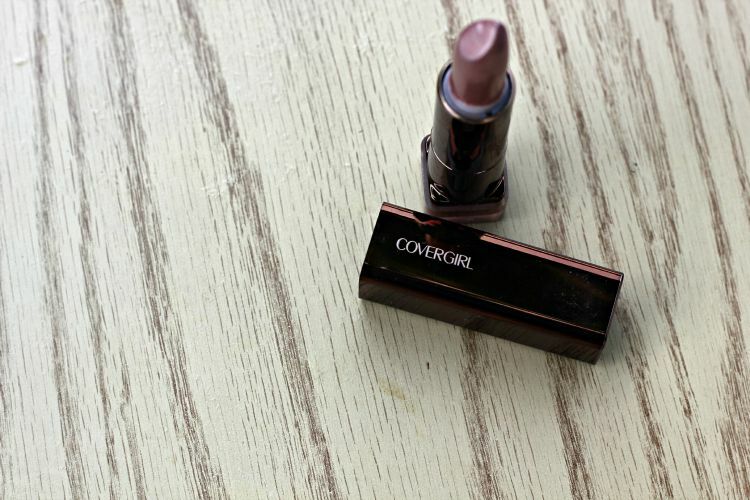 Covergirl’s Lip Perfection lipstick comes in a variety of different shades and they are all extremely pigmented, very smooth and buttery, very hydrating and it just feels so nice on the lips. This lipstick has olive oil, aloe, shea butter, and silk protein. This product last a pretty long time and smells really good too. I highly recommend this product to everyone. Give it a try and see how you like it. I’m sure you will love this lipstick. Covergirl’s Perfection Point Plus Eyeliner is great for those people who like a light makeup look. This product gives you complete control and it applies nicely however it does smudge through out the day. For this reason you may have to reapply the product but other then that it defines the eyes nicely and if you don’t mind the smudging then try this product out to see how it works out for you. I’m just speaking from personal experience.